A chip card—aka smart card or EMV card—is a debit or credit card that contains a computer chip that enhances the security of cards during in-person transactions. These internationally accepted cards use a security standard originally developed by Europay, MasterCard and Visa (EMV) as a way to fight card fraud resulting from theft, skimming, and counterfeiting. Is a chip card more secure than magnetic stripe cards? Yes. Chip cards add an additional layer of security. Each time you use your chip card it generates a unique code that can only be used once. This makes it harder to counterfeit a card or to use it fraudulently for in-store purchases. What information is on the chip? The chip contains information about your account and the card expiration date. It also generates a unique code for every transaction when used with a chip-enabled terminal at the point of sale. Merchants, such as a grocery store, may ask you to insert your card into the terminal or they may ask you to swipe the magnetic stripe. If you’re asked to insert the card, look for a slot on the bottom-front of the terminal and insert your card face up with the chip first. Leave your card in the terminal until the transaction is complete. The terminal will prompt you to sign or enter a PIN to validate your identity. Take your card when prompted and don’t leave it behind. Can I still use my current card? Yes, use your current card until you get a chip card. At that time, activate the new chip card and start using it. Destroy your old card by cutting it up or shredding it. Do I need to sign the back of the card? Can a chip card be used to make purchases online or by phone? Yes. There is no change to that process. Chip cards can be used to make these purchases the same way as is done today. Can chip cards be used at an ATM? Yes. For ATM transactions, insert your card into the terminal and follow the instructions on the screen. Depending on the type of ATM, you might be prompted to re-insert your card. Leave the card in the ATM until the transaction is complete and the card is released. Then remove the card and any money you might have withdrawn. What happens if a HomeTrust chip card is lost or stolen? 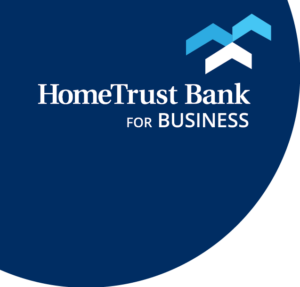 All cards that are issued by HomeTrust Bank come with Visa’s ‘zero liability protection,’ so you are not held liable for unauthorized transactions if a card is stolen, lost or fraudulently used at a merchant or online, provided you promptly report a lost or stolen card or any suspicious transactions. Review your deposit account agreement and disclosures on liability and reporting requirements for unauthorized transactions for more information. Can I be tracked with my EMV card? No. Chip cards contain no tracking information. Will all HomeTrust cards, including prepaid cards, be chip cards? Chip cards are available for Personal and Business Debit Cards. Instant Issue cards do not have chips.